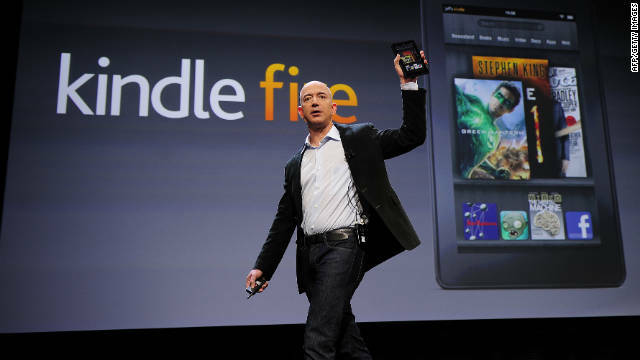 I’ve been using the Kindle Fire for three weeks now and figured it was time to post my thoughts on the Fire. Living in Hong Kong, the Fire is not available here, so I had to order one (the day it was announced) and have it shipped to my mom’s house in New York. I couldn’t wait to go home to New York to visit for the Christmas holiday and get my Fire. As soon as I got there, I opened it up and got started. Out of the box, the experience was great. Almost immediately I was up and running. Since I use the Amazon App store in my Nexus One Android phone, I was able to immediately log in and download all of my favorite apps. Since I am an Amazon customer and “normal” Kindle owner, I was also able to load up my Amazon cloud stuff right away (my Kindle books, MP3 music, and videos that I have purchased via Amazon.) I like the carousel/bookshelf UI of the Fire and found it easy to navigate (and to be fair, my Fire was updated, so I did not have the swipe problems early owners had.) I also seem to be the only person on the planet who likes the UI, but the iPad and Android UI of icons just bores me, reminds me of Windows 3.1. I started using the mail client and web browser as well as Pulse to aggregate news and content in the popular e-magazine format. Loaded Twitter and Facebook of course. I also installed my favorite app of all time, Evernote, and immediately started to use it. I also fired up the Amazon Cloud player and got to all of my stored MP3s and videos. Using the Amazon Prime account that comes with the Fire, I was able to watch a bunch of movies and other video content. (But since I live in Hong Kong, I have to push my internet connection via a VPN to fool Amazon that I am in the United States as they don’t have distribution deals internationally.) I sat with my dad and watched a news commentary on YouTube about the street protests in Europe. Lastly, I transferred some of my Kindle magazines over to the Fire as well as all of my books and started to supplement my Kindle Touch reading with the Fire. Reading with the Kindle Fire is just like reading with the iPad or another non e-ink device. The Fire has a tremendous amount of games. So many that I think they are going after the family segment. (I don’t play games all that often, but at times when I am bored on a plane, you can find me playing Angry Birds.) This is real smart, every kid wants an iPad, but what they really want is a tablet to play games and surf the web. My nephew wants an iPad, so I gave him my Fire to play with and he found Angry Birds and Fruit Ninja in 10 seconds and then disappeared with my Fire for a few hours. I don’t think that he needs an iPad and at $200, families can buy Fires for each kid. As a frequent traveler (with a laptop) and huge content consumer, the Fire is perfect for me. The smaller size makes it easier to hold and read and travels better than a 10 inch tablet. The iPad appeals to the tech elite and folks who have already made a significant investment in iTunes or the Apple ecosystem. The Fire will appeal to those people who have not yet bought a tablet and like the Kindle, kids, and folks who like to play games. In addition, the Fire will appeal to uber tech geeks who will want to root it and play with the underlying Android OS (like me). I won’t say that Apple is in trouble, since Amazon has attacked the bottom segment of the market. Traditionally, vendors eventually work their way up after they conquer the bottom segment, so expect to see higher end Fires in the future.